Wall finishing with smoother exterior, perhaps polished, preserving corner or impression of frame (p.H. 0.007 m). Plain, undecorated. Grayish white plaster, medium coarse, with frequent sand and reddish chunks. Cf. KTH199a. 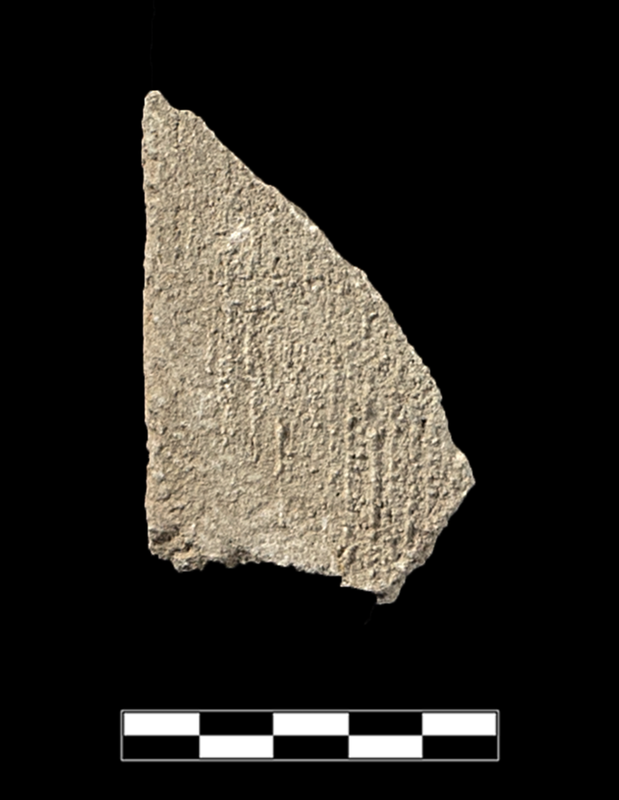 One large fragment plaster preserves no edges (a); seven small, irregular fragments of plaster, mortar and iron chunks.